Development work will start on six major Highways Agency road improvement schemes across the country. The Government has agreed funding for the second wave of 57 bottleneck road improvement projects to boost the economy. The condition of Scotland’s local roads has not significantly improved in the last two years, according to a report carried out by the Accounts Commission. The Confederation of British Industry (CBI) has called on the Government to increase its infrastructure spending during this month’s comprehensive spending review. Another severe winter could lead to parts of Britain’s local road network becoming unusable, the Local Government Association (LGA) has warned. The Institution of Civil Engineers (ICE) has called for immediate action to improve the condition of the UK’s road network as part of its State of the Nation Transport report published today (20 June). Chief secretary to the treasury Danny Alexander has unveiled the Government’s biggest programme of investment in roads for 40 years. Transport secretary Patrick McLoughlin has announced details of a new policy paper entitled 'Action for roads: a network for the 21st century' that outlines new arrangements for the Highways Agency and commits to providing funding for roads. Driverless cars will be tested on UK roads by the end of this year. The Road Surface Treatments Association (RSTA) has welcomed the possibility of greater long-term certainty of road maintenance funding, but has issued a note of caution. A shift to out-of-hours deliveries could improve road safety, according to the Freight Transport Association (FTA). Roads across Plymouth will be treated with a protective coating in an effort to prolong their life. Roads in Cumbria that were damaged by devastating flooding in 2009 will be repaired after the Government announced that the county council is set to receive a further £7.2 million. 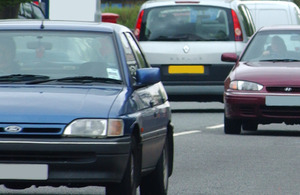 Young drivers feel ill prepared for life on the roads, according to a new report. Roads Minister Danny Kennedy has announced the start of a £445,000 resurfacing scheme in Bangor, Northern Ireland. Surrey County Council is investing £5 million in winter road repairs as it plans ahead for the cold weather. Birmingham City Council wants 90% of its roads to have a 20mph limit. The government is putting an extra £100m on the table so enterprise zones can complete key infrastructure projects. Energy, road and rail projects worth £33 billion have passed the first hurdle in getting a Government infrastructure guarantee. Transport Minister Danny Kennedy has secured over £40million in funding to help support road improvements and street lighting in Northern Ireland. A new research paper has identified £12.2 billion of annual inefficiency across England’s road network, a figure that may rise to £27 billion per year by 2040 if action is not taken to reverse under-investment. The Road Safety Foundation has called on the Government to invest in an effort to make UK roads measurably safer. The Local Government Association (LGA) has called on the Government to stop squeezing the budgets of local councils ahead of the Autumn Statement on 4 December. Transport Minister Robert Goodwill has announced that almost 10,000 construction jobs will be created next year as a result of more than £1.9 billion of investment in Britain’s roads. Transport for London (TfL) will continue to invest in roads in an effort to support jobs and growth in the capital. Chancellor George Osborne reiterated the Government’s commitment to invest in UK infrastructure during today’s (5 December) Autumn Statement. The Highways Maintenance Efficiency Programme (HMEP) has launched a new document that outlines a future vision for better roads and highways. A contribution of at least £5 million is needed to avert a crisis on the roads of North Yorkshire. Three civil engineering apprentices will work on two major road projects on behalf of Carillion. Roads Minister Robert Goodwill has called on the industry to get ready for a large increase in work ahead of the government’s biggest investment in the road network since the 1970s. The UK is ranked the sixth worst for traffic in Europe, according to a new report from leading traffic information and driver services provider INRIX. Skanska is set to create around 1,500 jobs in the UK as it looks to complete a number of rail, water, building and roads contracts. Transport Minister Edwina Hart has announced £15.4 million funding for 41 capital projects across Wales to improve public transport, roads and walking and cycling facilities. PA Consulting Group is running a survey that is designed to help organisations in the roads sector understand their innovation capability. Dozens of roads projects will get off the ground after the government agreed a series of growth deals with businesses and local authorities across England. Public satisfaction with the condition of UK roads is at an all time low, according to a report carried out by the Government’s Public Accounts Committee (PAC). If all the roads and motorways in Great Britain were grouped together into one landmass, there would be more than enough to cover an area the size of Lancashire. That’s according to research carried out by Ordnance Survey’s consultancy and technical services team. Publicly-funded infrastructure projects, including roads, will be branded with a Union Jack plaque to recognise taxpayers' key contribution in funding vital projects. Labour will support long-term investment in strategic roads, address the neglect of local roads and promote cycling if it wins the General Election. The Freight Transport Association (FTA) has called on the government to make investment in roads a top priority. More than £8 million will be spent on improving Manchester’s busiest roads over the next three years. Highways England has revealed the strangest items ever spilled on its roads – from powdered cement to 6,000 chickens. Highways contractor A-one+ will help keep the North East moving this winter after investing in new technology that will make gritting the roads safer and more effective. A new transport strategy published by the Lancashire Enterprise Partnership (LEP) outlines how major investments in rail and road initiatives could create 15,000 new jobs and generate £685 million in new economic growth. Essex County Council is investing £50 million on improving Colchester’s infrastructure – including road, cycle and bus schemes. Britain’s most improved and high risk roads have been identified in a report carried out by the Road Safety Foundation. The Mayor of London has vowed to tackle the capital’s road congestion through a series of measures. More than 50,000 construction professionals, including 15,000 in the roads sector, are needed to deliver key infrastructure projects. Economy and Infrastructure Secretary Ken Skates will outline plans for multi-billion pound Welsh Government infrastructure investment over the next five years including major improvements to the M4, A55, A40 and A494. Chancellor Philip Hammond has announced a major local funding boost to tackle congestion in his first Budget, with a £690m competitive fund for English councils to "get local networks moving".